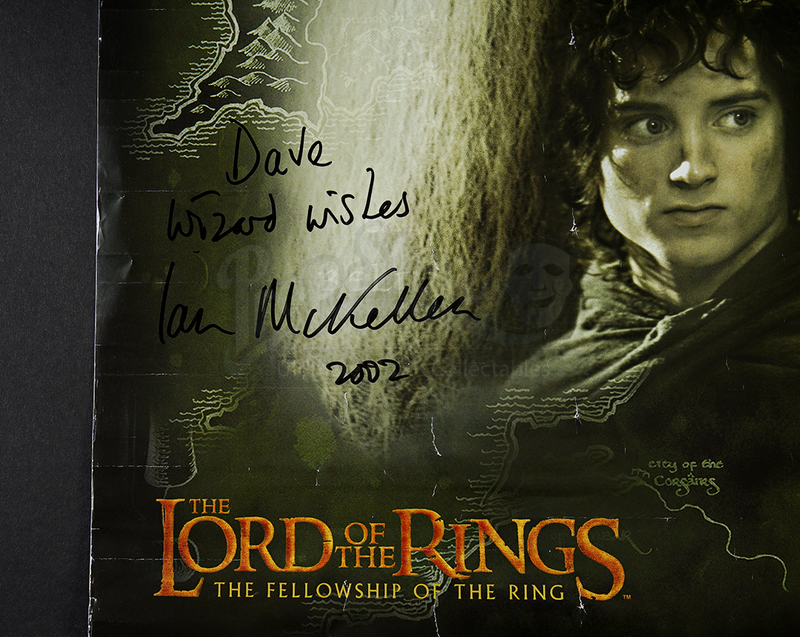 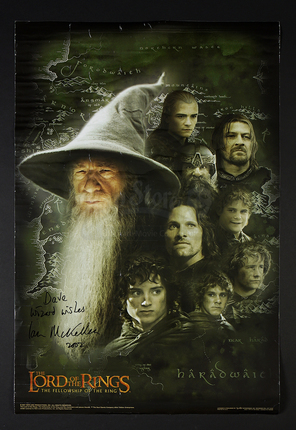 An Ian McKellen signed poster from the first installment of Peter Jackson’s Oscar winning epic Lord of the Rings: The Fellowship of the Ring. 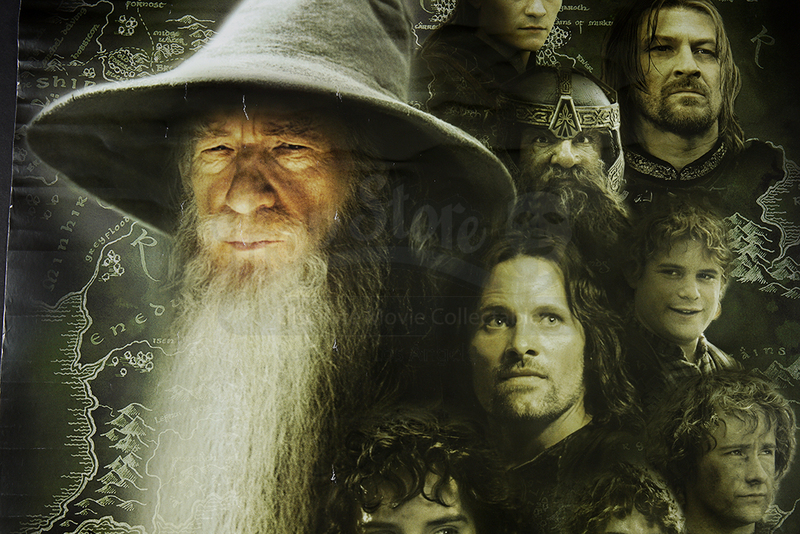 The poster features many of the film's characters with Gandalf (McKellen) at the forefront. The poster is signed 'Wizard Wishes' and is dated 2002. 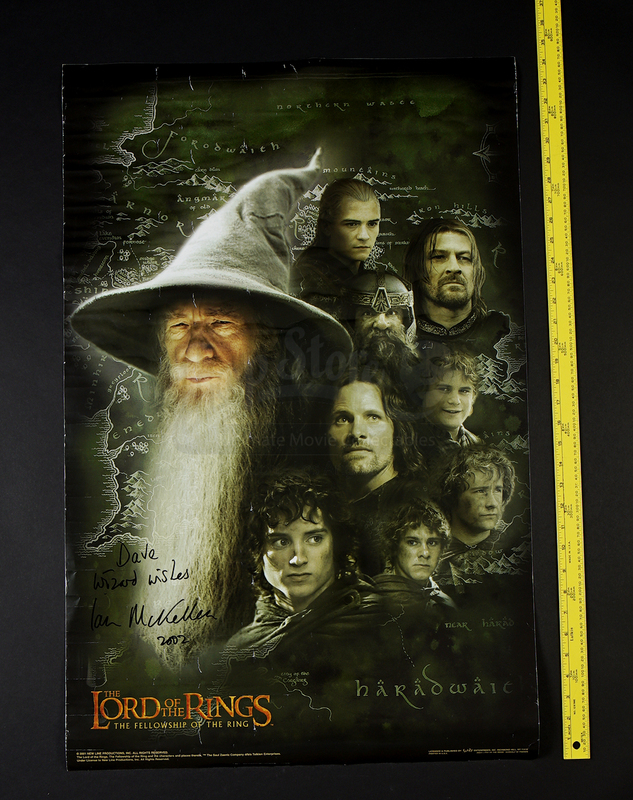 The poster shows some wear from age and storage but remains in overall good condition.